ProfessionalMatch finds compatible matches for you during your busy workday. The service caters to thousands of professionals and business individuals all over the US. ProfessionalMatch makes it easy for professional singles to join the site. In order to create a profile, new members will be asked for a valid email and only after providing such, will they be sent a password allowing them to log in. The next step requires them to answer only a few questions, instead of a lengthy questionnaire or personality quiz. Sign up for ProfessionalMatch is a simple and self explanatory one, and the site walks its members through the process, asking them to specify all relevant information. The profile consists of questions regarding the member’s annual income, gender, and education. In addition, the email address and phone number will be posted on the profile. Because ProfessionalMatch does not allow members to view each other, no one will contact you except your personal matchmaker. The biggest downside to this concept is that there is a limited amount of areas which the site has offline matchmakers for. In case you live in a location where there are no matchmakers available, you will be prompted to start filling in your profile for partner online dating with AYI. Since the matchmaker does all the work of matching singles, a search feature does not exist on the site. 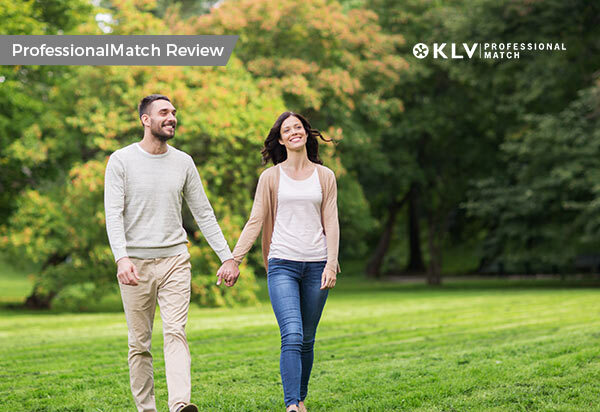 However, it is recommended to prepare a list of all the things you’d like to see in a potential match, so your matchmaker can keep them in mind when suggesting potential matches. While there is no search option, it is possible to filter partner suggestions according to either specific criteria, such as appearance, interests and background, or according to location. Additionally, can choose to be matched with other singles based on what they’ve filled out on their profile. One of the interesting features ProfessionalMatch covers is diversity. It is a concept that all their matchmakers employ when trying to find a perfect match to other professional singles. Most often, business executives and professionals tend to use dating sites such as ProfessionalMatch because they make it easier to find a compatible partner. ProfessionalMatch considers those factors and connects its users with someone who has the same mindset. They search for individuals with similar goals, values, and lifestyle. Since they meet every member in-person, they will review all their likes, dislikes, wants, and needs in the person that best fits them. The potential matches will also be screened based on the information each single provides their matchmaker. What some users may not enjoy is that there are not many interactive features on the site. There are no chat rooms, no search feature, or listed profiles. For members who enjoy viewing profiles or chatting, this may not be the best option. If ProfessionalMatch does not currently have enough matchmakers in your area, they will direct you to the popular online dating site Are You Interested and keep you posted about matchmaker availability in your location. ProfessionalMatch wants singles to feel secure in the fact that they are visiting a reputable site that ensures privacy, and promises that their information will remain private and exclusive only to their matchmaker. The matchmakers will be in direct contact with each member and qualify them, which creates a safe environment in which everyone can be assured that the single they’re talking to has serious intentions. Another interesting feature for this online dating site is their phone verification process. They verify their users’ ID by sending a private message to their phone, either via text or voice call. Only after they have entered this information, their profile will be complete on the site. This prevents any scammers from trying to join the site without entering in a valid email address. The only way to get in touch with the company itself is via contact form on their site. We would like to see an option of talking to a customer support representative directly on the phone or via chat. They may promote their services and dating partner services to your members’ email, but they will not call your provided phone number with offers. ProfessionalMatch is the solution for a quality and time saving experience seeking out and keeping that someone special. Without a search function at all, single parents rely on the team of matchmakers with years of experience to suggest suitable singles who want exactly what they do. A great choice for those who want to let go of the reins and let fate take control.